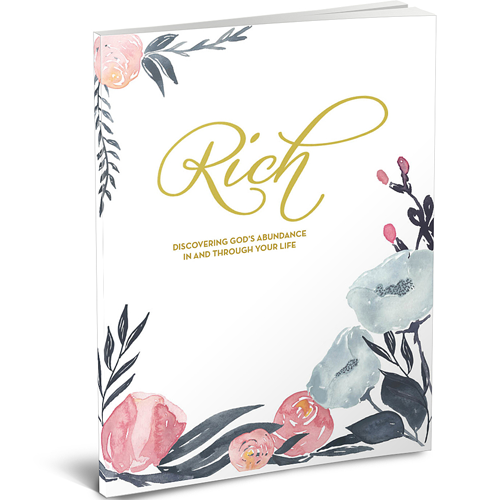 Single paperback copy of the companion devotional to RICH: Discovering God’s Abundance In and Through Your Life. This devotional is a 7 week exploration of the fruit of the Spirit from Galatians 5:22-23. As we understand that it describes God’s character, as see as we abide in Christ, we will begin to display the same characteristics. RICH uses the Read, Pray, Obey format each day. From a key verse, there’s a short devotional and opportunity to write the word or doodle your reaction. In the pray section, there’s a prayer in response to the devotional and space to write your own, and finally and obey section to record any next steps of response.